H&N Baracuda Hunter Extreme Pellets, .22 Cal, 18.52 Grains, Hollowpoint, 200ct. These unique hollowpoints are ideally suited for hunting. 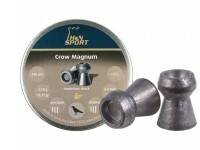 Use with magnum air rifles. The mushrooming head delivers a shocking blow on impact. 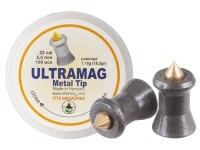 This pellet does not need a Phillips screw driver (as was suggested to us by a customer at one of the shows). It needs a powerful air rifle. 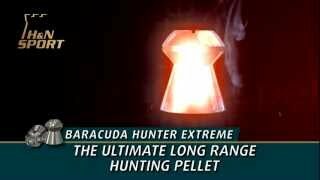 Yes, this is a hunting pellet and expansion is quite incredible due to the incisions in the head. 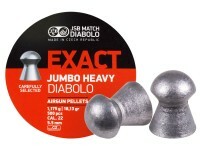 Things I liked: I really like these pellets, when I want really consistent accuracy, they are my constant go to. Things I liked: Very accurate out of Gamo big cat 950. Hard hitting. What others should know: There worth buying. Only one way to find out is to try them. Ever rifle is different. Would this be good for Umarex Octane? 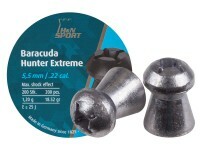 I own the Umarex Octane in .22 CAL. 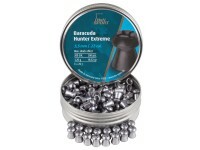 I have been shooting the H&N Field Target Trophy and WOW, very accurate. 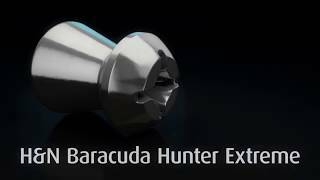 I am going to try the Baracuda match for this gun as well. If you're looking for an accurate pellet. 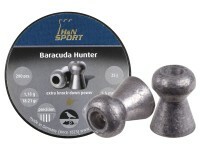 Choose either the Field Target Trophy, or Baracuda match. 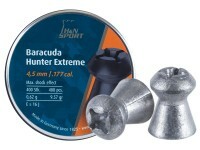 So far I have seen less accuracy with a hollowpoint pellet, but I have not tried the hunter extreme.